As requested, another handful of Black Phoenix Alchemy Lab Halloween scent reviews. I don't have this year's versions of these scents, so I'm reviewing based on previous releases. Usually the re-releases tend to be close to identical to the past versions (not considering aging/maturing of the scents), however, like I mentioned, I don't have the new versions to confirm. In my experience, though, the re-releases I've purchased have always been nearly identical to the originals/previous releases. I've included the list of notes for each scent, as listed on The Lab's website, for quick reference. The full list and descriptions can be viewed here until they go away on November 13th. To answer the question asked by Moonz in my last post (even I have trouble getting comments on my own blog to go through): I've never experienced a Black Phoenix scent selling out before the end of the sale period. In my experience, all the scents remain for sale until the end date specified by the Lab, and after that point, they are no longer available for purchase. Sometimes they will sell the odd bottle on eBay, but you can't order from the website after the specified ending date. BOO: Eerie billows of spun sugar, fluttering white cotton, and sheets of cream. Sniffed directly from the bottle, I smell that BPAL cream note (think a creamier version of Comptoir sud Pacifique Matin Calin with a toasted white bread note) and nothing else. Once applied to my skin, the scent becomes very sweet and I smell a white sugar scent, a very, very light cotton candy note, a tiny touch of something citrus (not detectable unless I breathe deeply) and the cream note has settled down to the bottom and lost most of the toasty scent it had before. It reminds me of Midway mixed with Love's Philosophy. It's smooth, it's sweet, it's light, it's sugary but not sickening-barfy-toothache sugary. Very pleasant, calm, gentle, maybe even cozy. Once I've been wearing it for a while, it just smells like Midway with a spritz of CSP Matin Calin to me. Light fresh sugar scent, touch of milky cream, but without any heaviness or buttery notes. DEVIL'S NIGHT: This is the scent of autumn night, fires in the distance, with a touch of boozy swoon, playful sugar and thuggish musk. Let me preface this review by saying that this is not only one of my favorite (if not my top favorite) Black Phoenix scents, it's one of the best scents I've ever smelled, period. I think it's amazing and, in my eyes, it's pretty close to my idea of a perfect fragrance. So, obviously, I'm biased. I have several bottles of this, each from different years, and I can tell you that it ages extremely well. Straight from the bottle I smell sweet, smoky, spicy, warm and cold. This is one of those scents were no particular note stands out to me; it all blends together into one rich and magical smell. I smell something sweet and sugary, like white sugar or cotton candy. I smell warm and spicy, like ginger or perhaps cardamom, but not cinnamon. I smell smoky, like a recently extinguished candle, or like a sweet pipe smoke, not a harsh barbecue-type smoke. There are some prickly notes over a smooth base. When I wear this, I've been told that I smell like fall. That's good enough for me. JOHN BARLEYCORN: Barley, beer, blood, and whiskey. In the bottle, this smells really sweet, kinda fermented and actually a little gross. Something about it just makes me think of Swedish Fish and rotten fruit. There's a distinctly alcohol-like high note that hits me at the top of the nose like bubbles. On the skin, I smell warm, dry hay. Grape juice. Wood and wax. After a little while, it actually starts to smell warm and smooth. It has a masculine dry woodsy side and a soft, spicy, nutty character over the dry wood. Much better after a little while on the skin than straight from the bottle. OCTOBER: Dry, cold autumn wind. A rustle of red leaves, a touch of smoke and sap in the air. Sniffed from the bottle, I smell sweet dried grass and fresh, crisp green leaves. Extremely natural and herbal. On the skin, the dried grass becomes warm and sweet, like dried seagrass. The green, leafy herbal scent sits right on top, but softens and mellows into a bed of cool green grass, citrus rind and breezy wildflowers. Something cedar-like comes out after about half an hour, and the base mellows even more into a smooth and smoky yet still sweet dried grass. This one is very enjoyable; it smells like a walk in the woods. PUMPKIN LATTE: Espresso, pumpkin syrup, smoky vanilla bean, milk, raw sugar, and a dash of cinnamon and nutmeg. Out of the bottle, this smells unbelievably amazing. Coffee bean, woody, spicy cinnamon, nutmeg, milky vanilla, and generic 'pumpkin spice' candle smell. I can't get over how spicy and sweet and awesome it smells out of the bottle. I want to eat this. On the skin, it immediately takes on a dry peppery smell. Dry, spicy, woody. Remember the Bath and Body Works / White Barn The Perfect Autumn Pumpkin candle/fragrance oil from a few years back? Pumpkin Latte smells a lot like that, but with more dry spice. After a little while longer, the dryness increases. Cinnamon sticks, freshly ground nutmeg, an oaty, nutty, grainy smell like dried wheat or oats. I don't smell any actual pumpkin, but I do smell pumpkin spice perfume smell. It has a creamy sweet scent at the very bottom that reinforces the edible quality of the scent. After an hour or so, I smell oatmeal, cinnamon brooms, brown sugar and pumpkin spice. 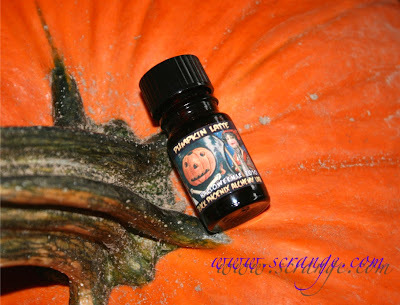 Sadly, the scent doesn't retain any of the coffee that I smell upon opening the bottle, but it's still one of my top favorite Black Phoenix pumpkin scents ever. 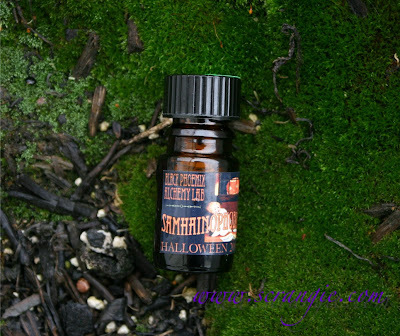 SAMHAIN: Truly the scent of autumn itself -- damp woods, fir needle, and black patchouli with the gentlest touches of warm pumpkin, clove, nutmeg, allspice, sweet red apple and mullein. This one doesn't change as much on me as a lot of Black Phoenix' other scents do. Out of the bottle I smell very sweet honeyed apples, pine, smoke, a hint of spice. On my skin, I smell really strong honey, apple, pine, spice and wood. The honey/apple combination stays strong the entire time and that's the main thing I smell in this scent. It doesn't list honey anywhere in the notes, but it smells like real, actual, edible honey to me, not just 'perfume' honey note. The apple in here also smells realistic. It starts off bright and then becomes a sweeter, more muted apple cider scent. 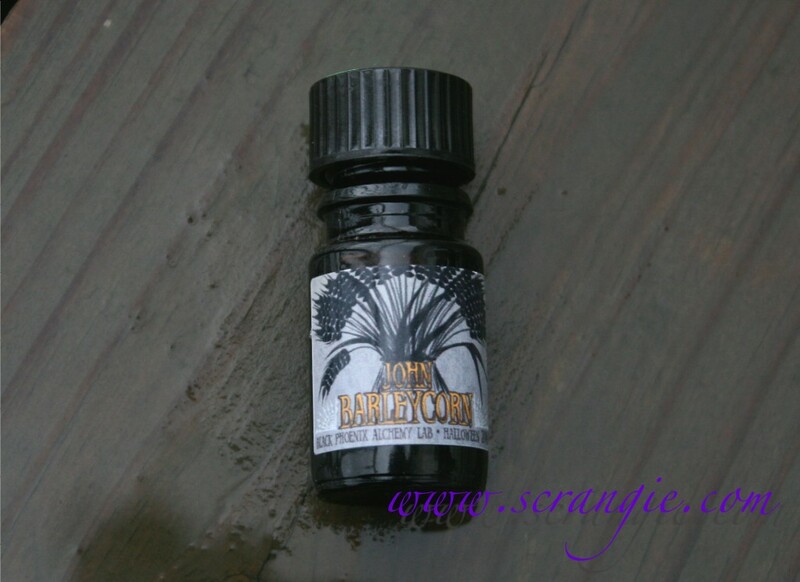 SAMHAINOPHOBIA: Menacing Haitian vetiver, patchouli, and clove with a shock of bourbon geranium, grim oakmoss, and dread-inspiring balsams pierce the innocuous scent of autumn leaves. Out of the bottle, it smells a lot like Samhain- honey and apples with fir needle- but with some bitter greens and smoke to cover up the sweetness. 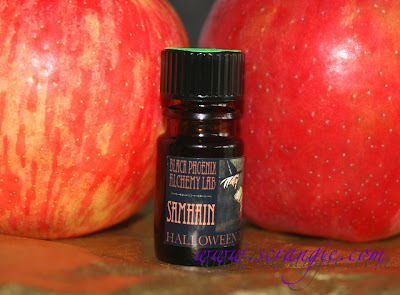 On my skin, it smells.... Like Samhain. They don't list any of the same notes, but somehow they smell so similar to me! I don't smell any strong patchouli or vetiver. I smell lots of clove, I smell a little oakmoss, but mainly I smell honey, apples, pine trees and smoke. After a while, the apple-honey sweetness backs off and a dry, dusty sandalwood-esque woody scent takes over. But still... 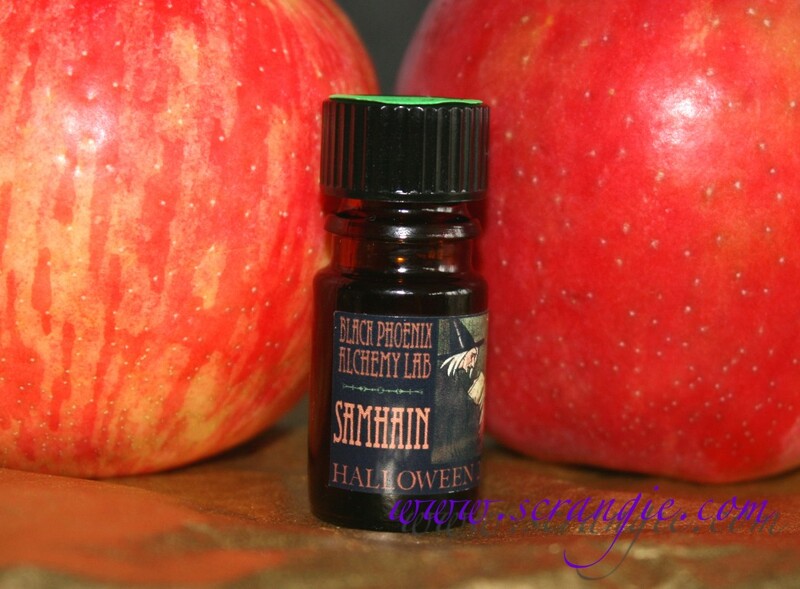 It smells so much like Samhain to me... Am I crazy? 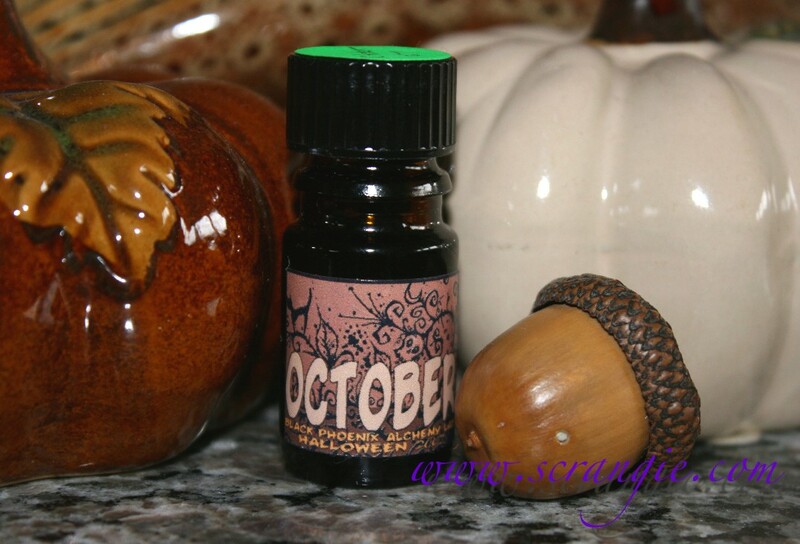 Does this one smell like Samhain to anyone else? From your description, I think that I'd really enjoy Devil's Night. And what an a great name for it, too! Ooo, "October" sounds REALLY tempting. Must...not...buy...more...perfume. Argh. Thank you so much for introducing me to BPAL! I was on the fence about Devil's Night and after reading your review I'm sold! Just ordered it (along with a few others :x)! Every once in a great while, something ends up getting taken down before the end of the LE run is scheduled, but that's more common with the extra long LE runs. 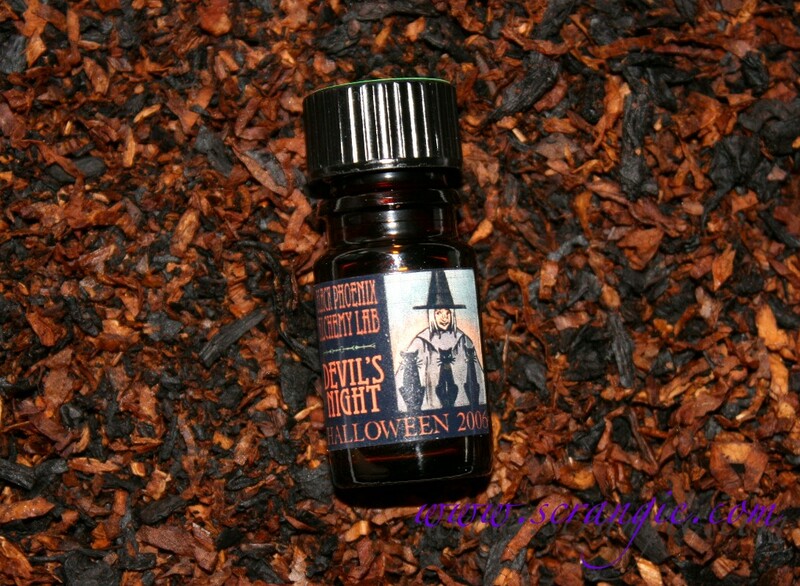 Like Candy Butcher from Carnaval Diabolique was discontinued a long, long time before the rest of the scents left the site, but that was a component issue. I went completely nutso last Halloween and got every scent I wanted, so I haven't really bought any BPAL since my Yule/Lupercalia order. I keep meaning to try Boo, though. Mary, it is really good, like no other fragrance I have! CountingDownToBliss, You're welcome! Hope you enjoy the ones you chose! Quincita, now that you mention it, I do remember that with the Candy Butcher. So I can't rule out component problems, but that's the only time I've seen something come down early. I've really had to pull in the reins on my BPAL ordering... Used to go crazy! Splash, anywhere you want! I personally use the bottle cap or my finger to put a little bit behind my ears. I like running a little through the ends of my hair, too. I also make sprays out of the ones I like the most- about 1ml of scent with .5oz perfumer's alcohol in a perfume bottle. I'd love to try some of these scents. Devil's Night sounds really delicious. You give great descriptions. Thanks.